Cuttack, popularly known as the cultural capital of Orissa, is one of the major tourist destinations in India. The city reflects rich culture and traditions in different forms of art, including handicrafts, dance and food. It is the second largest and one of the oldest cities of the state. During the medieval ages, Cuttack was named Abhinaba Baranasi Kataka. Tourists can experience the beauty of nature as well as visit the historical monuments in Cuttack that make it an ideal weekend getaway. The best time to visit Cuttack is between July to March as the city experiences a tropical climate. During the summer, the temperature ranges between 32 to 40 degrees Celsius and it is quite uncomfortable for tourists, especially from March to May. Cuttack receives moderate rainfall during the monsoon season. The winters are usually quite pleasant as the temperature varies around 20 degrees Celsius. By Air: Biju Patnaik Airport, which is located in Bhubaneshwar, is the nearest airport to Cuttack. There are direct flights from almost all the major Indian cities to this airport. 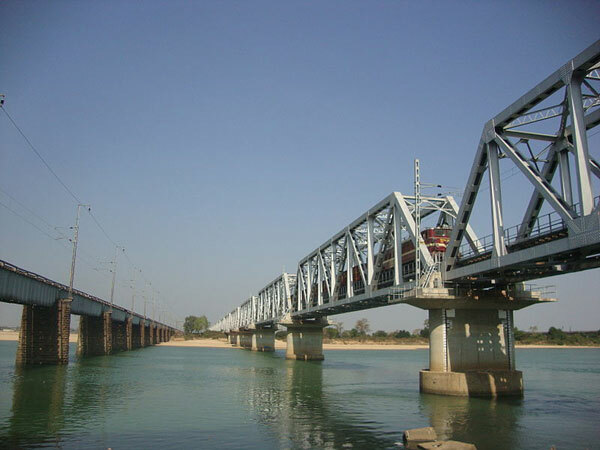 By Train: Cuttack is well connected by railways and it has its own railway station known as Cuttack Junction. There are direct trains from all the major cities to Cuttack. By Road: Cuttack is well connected by roadways with rest of the country. There are a number of buses and cabs that ply regularly from Cuttack to all the big cities in the country. Among these two routes, route 1 is the fastest and the preferred route to reach Cuttack by road. Located at a distance of 139 km from Kolkata, Kharagpur is a popular industrial city in West Bengal. It has the third longest railway platform in the world. Khargeswar temple, Kurumbera Fort, Jhargram Palace and Joranda Falls are some of the famous tourist attractions near Kharagpur. Located at a distance of about 194 km from Bhubaneswar, Balasore has gained popularity because of Chandipur Beach. Tourists across the country visit Balasore to experience the beauty and charm of Chandipur Beach. The best time to visit Balasore is from the months of October to January. There are a number of tourist attractions in and around Balasore, such as Kuldiha Wildlife Sanctuary, Talsari, Chandbali, Jhadeswar Temple and Panchalingeswar, which are worth visiting. Cuttack is also popularly known as the Silver City of India due to its historical silver filigree works. The city has a number of famous pilgrimage sites for both Hindus and Muslims, including Dhabaleswar Temple, Cuttack Chandi Temple and Qadam e Rasool, that attract a huge number of devotees throughout the year. Apart from the religious importance, the city also offers amazing scenic beauty having a serene and calm ambience. Check out this list of places that you can visit in and around Cuttack. The Bhitarkanika Wildlife Sanctuary is one of the most popular tourist attractions in Orissa as it houses a number of rare endangered species of flora and fauna. Spreading across an area of over 650 square km, this wildlife sanctuary is the home of rare white crocodiles, huge saltwater crocodiles, spectacled cobra, Indian python, olive ridley turtles, water monitor lizards, black ibis and several other animals. Built in the 11th century, the Stone Revetment is located on the banks of Mahanadi river in Cuttack. The revetment was constructed during the reign of King Marakata Keshari to stop the floodwater from entering and destructing the city. Ever since then, Cuttack has been protected by the Stone Revetment from the gushing force of floodwaters. Dhabaleswar Temple is dedicated to Lord Shiva and is quite popular amongst tourists as a weekend getaway. Situated on a Mahanadi river island, this pilgrimage site dates back to the 10th century AD. The temple features ancient stone carvings and offers a beautiful calm and serene ambience to the visitors. In the 14th century, the Barabati Fort was constructed on the Mahanadi river during the Ganga dynasty. The fort is often referred to as the carved gateway of Cuttack. Barabati Fort, which covers an area of almost 102 acres, was built to protect the city of Cuttack from the attack of its enemies. The fort, which was a 9-storeyed palace in the past, offers a spectacular view of the city to its visitors. In addition, tourists can also visit the Shahi Mosque, which is constructed within the Barabati Fort. This mosque is known for its intricate carvings made on stones and tiles and is another famous pilgrimage site for Muslims. The famous Cuttack Chandi Temple is dedicated to the Hindu Goddess Chandika and is quite popular as a pilgrimage site in Orissa. The temple attracts thousands of devotees throughout the year, especially during the Hindu festivals such as Durga Puja and Kali Puja. Situated on the banks of the Mahanadi river, the Cuttack Chandi Temple is an amazing example of the ancient form of architecture during the Gajapati dynasty. Covering an area of almost 57 acres, the Qadam Rasul Mosque was founded in the 18th century and it attracts a huge number of tourists throughout the year. This mosque is considered to be immensely sacred as it contains the footprints of Prophet Mohammed. The Qadam Rasul Mosque was apparently built by a Hindu king following the Indo-Persian form of architecture featuring exquisite Meenakari work. Singanatha Temple, which is the oldest temple in Cuttack, is quite popular for its architecture that strikes a close resemblance of the old Hindu temples in India. It is located in one of Mahanadi river islands and offers an amazing view of its surroundings. A huge number of devotees visit this temple to offer prayers at the Singanatha Temple.